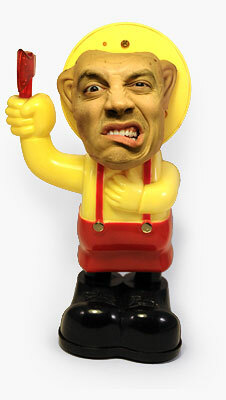 So, a Disney toy is making an appearance on the Weirdo Toys blog. 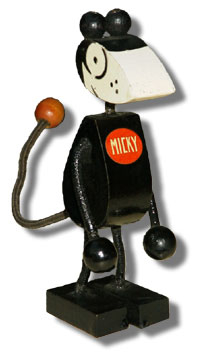 I recently discovered this primitive “Micky Mouse” in an article over at Boing-Boing, that discusses the controversial origins of that punk “Mickey Mouse” and his toys. 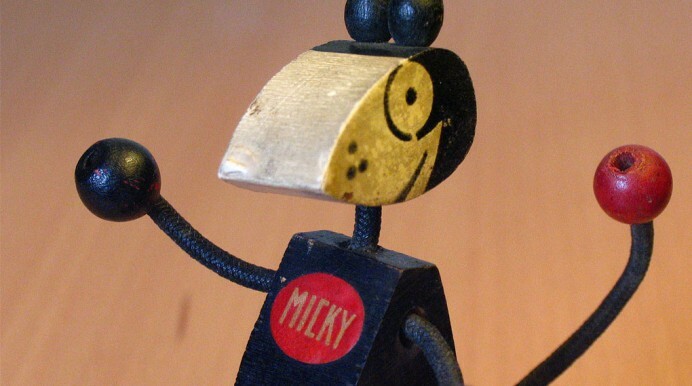 Allegedly, Performo-Toy Company were selling Micky Mouse toys before the Disney character ever existed. There are even implications that Walt himself stole the character and name, but once Disney became the powerhouse with the animated Mickey, they annihilated any possibility for Performo to hold claim to its being the original (Plus, Disney’s Mickey has an “e”… so c’mon. That’s totally different.). Performo were even given a court order to destroy all original Micky inventory and collateral that made any references to him. Don’t worry Weirdo Micky. You have a home here. of describing each one of them. check back again in a few. So you don’t own one of these? I thought perhaps you were only doing toys that you have/looking for. Are you branching out now? You own some Mickys? Interesting. Would you like to share any photos of him? I can post them here. I’d love to get some better shots than this junky one I found online. Hmmm. That photo up on top looks familiar.